Have you ever photographed a beautiful, vibrant sunset or luscious, rich landscape only to be disappointed by dull and flat-looking results on your computer screen when you get home? Do you ever look at other photographers’ images and feel they have that extra punch your photographs lack? The truth is, our cameras simply don’t capture and reproduce a scene exactly how we see it, and the result is often a flat and lifeless image. The potential is there, buried in the file, it just remains untapped without first applying these professional editing techniques to your images. In my Lightroom Essentials training class, I’ll show you how to get the very best out of your photography using the industry's leading image processing and workflow tool. You'll learn how to achieve fantastic results with minimal editing time. My Adobe Lightroom Training class costs just £69 for a two-hour one-to-one session, tailored specifically to your needs. The class is suitable for photographers of any level, genre or photographic style looking to become proficient in Adobe Lightroom, whether you are just starting out with the software or if you already have a grasp of the basics. This class introduces the key tools and techniques you need to become proficient in Adobe Lightroom. However, it does not cover advanced re-touching techniques, including portrait re-touching, or compositing, as Adobe Photoshop is the appropriate application for this kind of advanced editing work. Training will take place in the very accessible location of Thornliebank, Glasgow. Train: a 10 minute train journey from Glasgow Central on the Glasgow Central - East Kilbride line. I am then just a two-minute walk from Thornliebank train station. Bus: several buses also run from town - 57 and 10 - and other parts of Glasgow. I highly recommend all photographers attending bring along some RAW files of their own and I will guide you through how I would personally approach the edit, from start to finish. However, bringing your own files is completely optional and I have a selection of my own images I think work very well as examples, if you’re not ready to share yours just yet! And that's it! Just bring yourself, and a few images if you like. Along with the training, each attendee will also receive handouts recapping everything covered, plus my handpicked Lightroom shortcuts. The Adobe Photography Bundle includes both Lightroom and Photoshop for just £9.98 per month. Sure to be filled with many ‘ahhh, so that’s how you do that!’ moments, the Essentials Course will equip you with the knowledge you need to start using Lightroom’s main editing and workflow features like a pro. We’ll kick off your training session by demonstrating exactly why Lightroom is the ideal editing tool for any photographer, from beginner to professionals. In no time at all you’ll have a revealing insight into the wonders this powerful editing tool can do for the end result of your photography. In Part 2, I’ll show you how to quickly sift through your files, only picking out the best shots you’ll want to invest time editing. Being efficient at this stage of the process can save you hours of time during the editing phase, letting you do more of what you love most: taking photos! 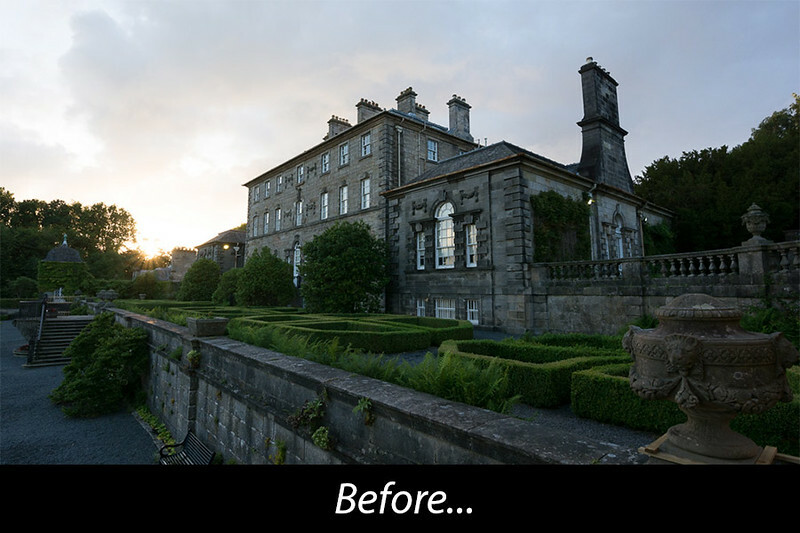 In this section I’ll take you through the essentials of Lightroom’s powerful adjustment tools, demonstrating what each one does and how to apply them to maximise the visual impact of your images. Using the editing techniques explained in Part 3, I’ll take you through some live examples of how I would approach editing different scenes and subjects. Bring along your own files (camera RAW files highly recommended, but not necessary) and see your very own images being transformed. You’ll be able to ask me questions about how I would approach certain scenes and which editing settings I’d apply. I’ll show you how to export your images for use on the web, social media and print.